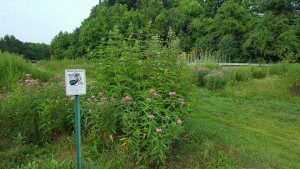 The Pollinator Garden is a certified Monarch Waystation. This Pollinator Garden, established by VDOT with help from the VNPS, needs you! The massive planting is doing very well, but needs volunteers to help the natives grow mature enough to crowd out the weeds. Please join us at a Weeding Party on July 20! It’s fun, and you’ll get to learn things, too. Work as hard or as gently as you want to, stay for the whole thing or only a short time – any effort is appreciated! But if you find you have time and haven’t RSVP’d, come anyway! We will provide water and refreshments. Bring a reusable water bottle, gloves and hand tools. 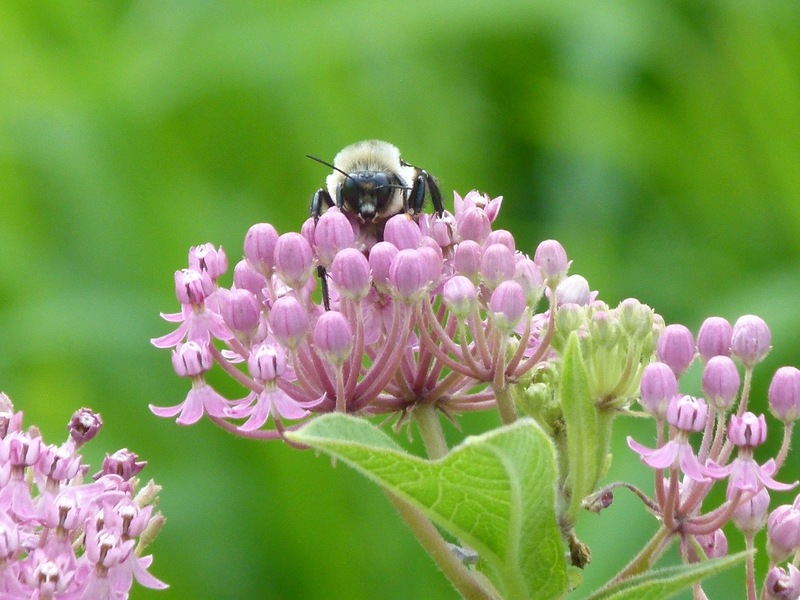 Swamp milkweed , (Asclepias incarnata) at work!